Simmering + bubbling + gurgling + meat + vegetables + dutch oven = fall recipes? Now that it’s technically autumn, I’m inspired by the darker evenings and chilly mornings to make boiled goodness in the kitchen. Do you have any favorite one-pot dishes that involve a bunch of ingredients simmering together until the entire house smells delicious? If so, send them to me and I’ll give them a whirl. 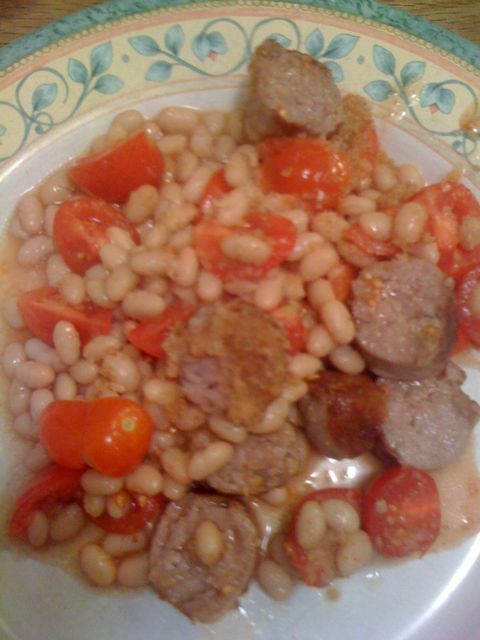 Bday cassoulet = white beans + pork sausage + cherry tomatoes + bread crumbs. 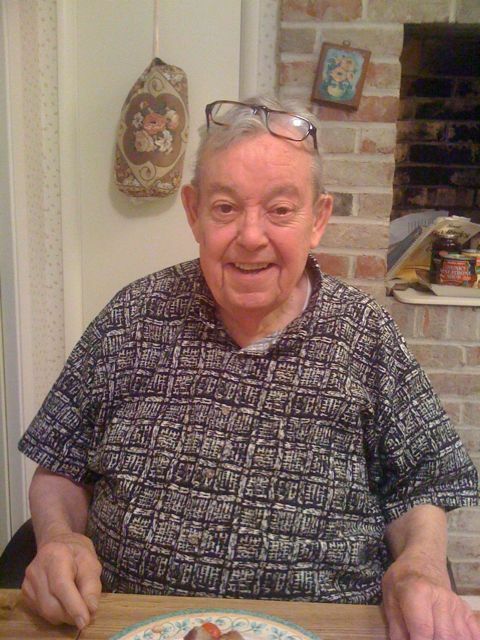 Last week my grandfather celebrated his 85th birthday and I toasted him by making dinner at his house. I mimicked a recipe for cassoulet (Provincial-style casserole with various types of meat, beans and tomatoes, baked in the oven) from memory. I sauteed the sausages until no longer pink inside, then combined the drained beans (from a can) and cherry tomato wedges in a separate bowl. After folding in the sliced sausages, I sprinkled bread crumbs over the mixture, and drizzled melted butter over the top. Bake in the oven until warmed throughout and golden brown – approx. 25 minutes at 400 degrees. During my transition from Sacramento to the Bay Area, I spent two nights a week at Papa’s to ease the long commute between the two cities. We feasted on a variety of meals, ranging from steak and mashed potatoes to soup and salad. I would email a shopping list to Papa and he would go to his favorite butcher and grocery store in Millbrae. It was a really unique experience, combining my weeknight routine of winding down in the kitchen, with great stories from his childhood, and jokes over the latest “American Idiots” (Idols) episode. Papa enjoyed his cassoulet this time around, and I hope to continue the tradition that we originally started 2 years ago (minus the commute). 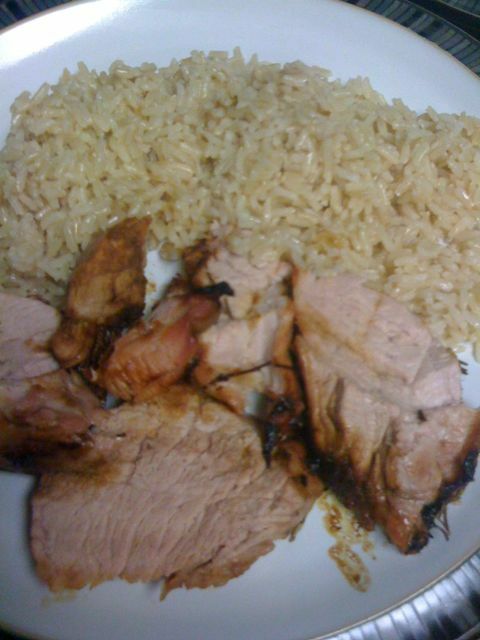 Recipe for success: pork tenderloin + Rosemary + honey + pepper = amazingly tender. Perhaps it was due to the cooking method? I baked it on a cast iron griddle at 400 degrees for about 30-45 minutes. Either way, it was delicious and still tender the second night.